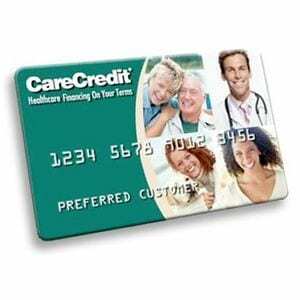 Is Care Credit a Viable Way to Pay for Health Care Expenses? Care Credit is a way to pay for health care costs that aren’t covered by your insurance, so you don’t have to pay for them all at once, and can finance them the same way you’d finance any other high-dollar purchase. But let’s explore just how much you’ll be paying for this privilege and whether or not it’s best option for you. Health care costs can come on unexpectedly, and unless you have the right insurance plan or emergency savings on hand, you’ll be left to foot a pretty hefty bill. This can quickly lead to a credit problem if you can’t pay it, and you’ll soon have a collection agency bugging you to settle your bill. But what if you could finance these costs for a reasonable fee, protecting your credit and spreading out your out-of-pocket expense over time? That’s the premise of Care Credit. The main claim of Care Credit is that they’ll help you pay for procedures that fall through the cracks of what most insurance plans will cover. From cosmetic procedures that aren’t typically covered to vision procedures like LASIK that can cost an arm and leg they say they’ve got you covered. They even say they can help cover the cost of veterinary expenses for your pet, which can definitely pop up when you least expect them, and can sometimes put you in the horrible position of making a choice about your pet’s health based on the funds you have currently available. Any health care product carries with it a bit of hype because there are a lot of emotions involved in the health of ourselves and our loved ones. Plus it can be scary to think about all of the gaps that most health insurance plans have, and what you would do in the event that something happened that isn’t covered, or how you would pay for something that you want or need done but isn’t covered on your plan. The cost of Care Credit will depend on how much your health care procedure costs, and whether you pay it off in the promotional period or not. On each purchase you make with it they will determine how long you have to pay it off before interest starts accruing. You’ll need to make minimum payments on it each month, and you’ll have between 6 months and 2 years to pay off the balance. If you don’t pay off the balance they will apply an interest rate of 14.9% and it will go back to the date that you originally made your purchase. So under the best circumstances this can help you pay off big purchases over time for free, and under even the worst circumstances it is pretty much like using a credit card or other line of credit. You’re committing to paying off the bill, the same as you would with any other line of credit. They will lay everything out for you at the time of the transaction so that you know when your first payment is due, how much your monthly payments are, and how long you have to pay it off before interest starts being applied. You’d want to treat this with the same care that you would your other lines of credit, since it will show up on your credit report if you do not pay it off as agreed. The Care Credit concept addresses several problems that consumers run into in regards to health care costs, and this is something that needs to be available for the majority of households across the country. Without it you’re stuck waiting to save up for a procedure that you want done now, or you’re left to try to figure out how to pay for things out of pocket at the time it happens. This can often trickle over to your monthly budget and start affecting your lifestyle. Since they set it up so that you get a built-in grace period, this helps buy you some time so that you don’t have to deal with an emergency right on the spot. It also let’s you get something like LASIK or cosmetic dentistry done now, and then pay for it over time so you can enjoy the benefits right away. The potential downside is that if you don’t pay it off in the time given – a likelihood on some procedures costing several thousand dollars – you’ll be subjected to the interest fees, set at 14.9% which is a bit higher than the national average, but not as bad as some of the worst credit cards out there topping out at 20% or higher. When you consider your other options it really becomes clear that if you can get approved for Care Credit it makes a good choice. Credit Care is getting our Thumbs Up rating for the myriad of different ways you can use it, how much it costs, and what people are saying about it in regards to what it’s like to actually use it. Most have likened it to having a line of credit specifically for health issues, which makes it better than just a general credit card that you can use to buy anything. This insures that you’ll have the line of credit needed for health care costs and to make sure that you don’t use it all up on a big screen TV in a moment of weakness. What do you think? Does Care Credit work or not? Does Nerd Wallet Really Work? This doesn’t seem any different to me than any other line of credit, and calling it “care credit” seems to be taking advantage of the thought that everyone longs to be comforted. The card is used for elective procedures, such as cosmetic dentistry, when someone is too impatient to wait until they’ve saved the money. But the terms are similar to credit lines that allow for payments until they retroactively charge a large fee for the loan. I’m a little leery of this one. It infers that it will help pay for medical expenses in general, but it really is more like financing a big screen TV. It’s actually really useful for things that aren’t just cosmetic but aren’t covered by an insurance. My brother’s cat needed to be spayed, but he didn’t have enough money to take care of her, and it wasn’t covered by anything, so we got one of these cards to help her. It wasn’t an elective surgery, but something that she needed to have done. Likewise, once we got that paid off, we needed to get my wisdom teeth out, which is another procedure that I really needed done, but we couldn’t afford the whole thing, so we used this for it. I also have a gum surgery that I needed done right away, but insurance didn’t cover, so we used this card. It’s really a great thing to have to cover important procedures that you need but can’t always wait to save up for. This is a great service, in my opinion. While I do agree with Rebecca that it does feel like another line of credit that’ll put you further into debt, I can definitely see Kaila’s point of view as well. Sometimes it’s absolutely vital when you need something done right away and don’t have the time to save up the money. Including if not doing it puts your health in danger to the point where it becomes life-threatening. Even if it’s keeping your pet alive too. When your insurance won’t cover certain expenses it could become impossible to pay for if you didn’t have something like this. But I will definitely exercise caution if I decide to use this though. Some emergencies do need more of an immediate response. I love Carecredit. I use it exclusively for veterinary care. I have horrible credit (due to an ex!! ), and can’t get any other credit card. My dog got really sick, and I couldn’t afford his treatment. The vet offered CareCredit, I got a response within 5 minutes, and qualified for $500. I paid it off in 6 months, and can now use it for other things at the vet’s – like spendy flea drops – and pay it off over 6 months. Just make sure your vet accepts it before okaying anything, some don’t. I’m very happy to see a review of Care Credit. I recently found out I need some dental work done, but, without dental insurance, I have to pay steep out of pocket costs. I called around to several dentists in my area, trying to find the best price, and one office mentioned that they accept Care Credit. The receptionist who I talked to on the phone said I can sign up in the office, and I’m assuming it will cover that day’s dental work. She also said procedures from their office can be paid back up to 18 months later without paying interest. I thought that was very reasonable. I’m glad to read that this service got a thumbs up rating, I may give it a try. I opened a Care Credit account for a plastic surgery procedure I was about to get. You can open the account through your doctor’s office, but I chose to do it myself through the Care Credit website. I figured that way I wouldn’t get embarrassed if I got declined for some reason. 🙂 I was approved for $3000 and used the total amount to pay the doctor in advance. At the last minute, I ended up deciding to cancel the procedure. My Care Credit account was easily refunded, so I can vouch for no problems there. I decided to go ahead and keep it open in case of an emergency in the future. It’s nice to know that it’s there if you need it. Like all credit options, some are better suited for you than others. But medical emergencies trump all other possible ways to save money and for that reason, i think its a pretty good idea to look into this option. Both Vanessa and Jennifer seem to have good experiences with it so I definitely think it should be considered if the situation ever comes up.